I’m sure you’re aware there is a lot of information and dos and don’ts when it comes to enhancing fertility through diet. Mostly, it seems, a lot of don’ts. This is not a list of either of those. When I first started seeing an acupuncturist, she suggested a diet based in Traditional Chinese Medicine, a list of supplements, and Chinese herbs to enhance the work she was doing to prepare me for my next IVF cycle. She taught me about the 90-day development process eggs go through before being released through ovulation and, thus, the importance of viewing the break I was on from treatment as an opportunity to improve the quality of my eggs. I hated the diet restrictions, taking all the supplements (so. many. pills. ), and I thought the herbs were horrible. I felt deprived. I was angry that I had to do all of these things, give up my favorite foods (sweets and coffee! ), and that other women were able to have a glass of wine, a romantic evening, and - boom - a baby 9 months later. So I mostly cheated. I would give myself a “cheat” cookie if I hadn’t had one yet that day. I would eat a bowl of pasta on Saturday if I hadn’t eaten (much) gluten that week. I skipped doses of the supplements or the herbs when I felt I just couldn’t do it anymore. But I didn’t feel relief - just guilt. One more way I was failing in this quest for baby. Instead of focusing on what you can’t have, think about what you CAN have. She shared a list of foods that she recommended TO eat at each stage of my cycle. For each stage, the list of helpful foods took up a full page in regular sized font. Most I was familiar with and already enjoyed. She reminded me what each supplement and herb was likely doing for me - and specifically my developing eggs. And - quite importantly - that all of this was for a short time. The finish line was clear for me: up until the next round of IVF and then we’d see what came next. I gave up the false expectation I’d created for myself that the diet, supplements, and herbs were part of my life indefinitely. No part of my fertility journey would last forever. I started thinking of all the supplements, herbs, teas, and food I ingested as nutrition rather than a diet. It became a strategy to get me to my goal. A training plan: short-term, sometimes intense, with good and bad days but always the opportunity to try again the next day. Something I could do to enhance my chances of success. My Type-A characteristics cheered and sprung into action. Everything I took in was fuel, creating the best possible environment for egg development. Each pill and herb swallowed, each food eaten (or passed upon), a small step toward an eventual pregnancy. In nourishment, I took back the power that “diet” had seemingly had over me. Did I continue to “cheat”? All the time. But it was no longer cheating...it was a choice. A decision to fuel my body in the best way possible at that moment. So, yeah, the cookies and the pasta still made their way into my mouth. But so did lots and lots of leafy greens, lentils, spirulina, rooibos tea, and other foods I knew could help my body be at its best - or at least wouldn’t counteract my bigger goals. I knew it was working because I noticed my body working more efficiently. I felt lighter, stronger, and had more energy. While I can't guarantee success for anyone, nor can I say that nourishment and the mindshift around it was "the" part of my plan that made the difference, I do believe it made me feel healthier and more empowered. If you’d like a few resources to help you get started on your own nourishment strategy, I’ve listed some of my favorites below. What do you think? Have you tried nourishment or a diet as part of your fertility plan? How did you find it? Want to receive the next strategy in your inbox? Subscribe to my newsletter here. 10 Fertility Fueling Foods A free downloadable from Liz Shaw, one of the authors of Fertility Foods Cookbook. 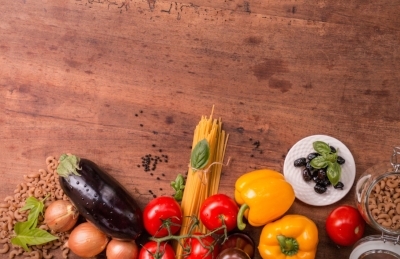 About the Mediterranean Diet Brief primer on what it is, what is included, and how to get started with one of the only specific diets that has shown in research studies to be helpful in improving fertility. Nurse’s Health Study The first research study to demonstrate the role of nutrition on fertility, this article lays out the resulting recommendation for diet and fertility. The Infertility Cure Traditional Chinese Medicine guidelines on diet, acupressure, and acupuncture for fertility. If you are struggling to find a way to nourish your body during this journey, reach out. I would be glad to help you sort through your options.